Dr Julie Roberts, the Social Innovation Project Manager at Central Queensland University, initiated a social innovation workshop followed by a competition under the theme, “Bridging the gap between domestic and international students” during the CISA National Conference 2016, which I discussed in the previous post. She taught us the “Human-centred Design Thinking” technique to address the social problems. Cornflakes, AirBnb, Uber etc. all of which took a human-centric approach to reach the solution. While traditional mindset focused in solving a problem with an aim to make profits, these solutions were sought by carefully understanding the underlying problems that people are facing and how can these problems be solved to enrich the human experience. Essentially, the modern mindset seeks to understand the problem more and more in an effort to solve the core problem rather than proposing a solution that just overshadows the symptoms of the problem. Meanwhile we watched an interesting YouTube video Did you know? Shift Happens 2014 Remix which is embedded below. This video also has a newer version Did you know 2016 which is updated and equally interesting. 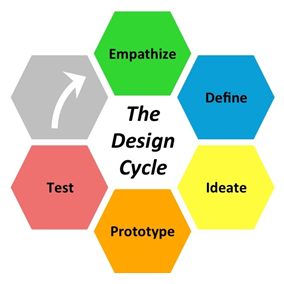 These videos combined with the design thinking philosophy helped us break barriers of our own thinking to cut through the stereotypes of our inherent traditional mindset. Then we participated in Social Innovation Workshop where we actually went through the process of design thinking to find out ways of bridging the gaps between the domestic and international students. You can view the Summary of the Discussion in the CISA Facebook Page.